We accept cheques, bank cards, holiday vouchers, cash. Do I have to book in advance ? It is strongly recommended to book your descent in advance. Online booking is available on this site or by phone on 04 67 73 39 58. Is it necessary to be able to swim ? It is compulsory to be able to swim at least 25 metres and immerse if necessary. You have to be in good health. What equipment should I bring ? Whatever the season, do not forget to bring food and plenty of water, especially if you are doing a long descent. Avoid bringing valuables (i.e. jewellery). What is required for a descent ? Ensure you have plenty of water and food (picnic). 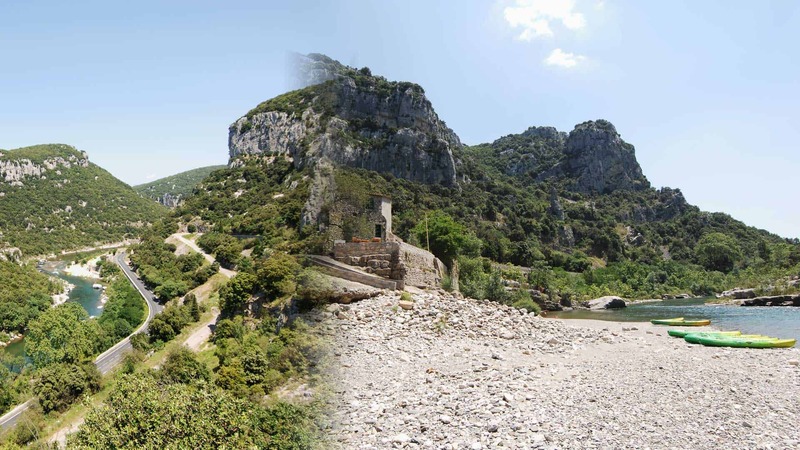 The Hérault valley is a classified and protected site, it is strictly forbidden to light fires. Ensure you have a bag to pack your rubbish (a bin is available at the Moulin base). Children are welcomed providing they are at least 6 years old, are able to swim and can immerse their head under water. Please note the 9 km descent is the only one permitted to children under 12. They are permitted but never attach them directly to your boat!! It is strictly forbidden due to the risk of fire. Yes it is, but you need a fishing permit. Can we go through the bridge Issenssac ? You can actually take the tour by the bridge at Saint-Etienne d'Issenssac (D1), 5km after St.Martin de Londres on your left, just before the neck of the Cardonille. The road is winding but very pretty. Despite appearances, you can drive across the bridge of Saint-Etienne, maximum width allowed is 2m. Head up the Hérault north (towards St. Bauzille de Putois / Brissac) for 2.5 km and you will easily find our base Aubanel-Brissac. But be aware this road is one way (from the Hérault) during the summer. In June, July and August, you are therefore only possible to leave by this route. In case of bad weather, can we cancel our booking ? mauvaise, peut-on annuler notre réservation ? In case of bad weather (persistent rain, temperature below 20 ° Celsius or wind > 60km/h), reservations are canceled or postponed, according to your wishes. Where applicable, the full amount paid will be refunded.